The effect of nicotinic acid and several derivatives on the nocturnal level of free fatty acids was studied in 12 healthy young women and men. Free fatty acids are an important precursor of plasma triglycerides and their concentration is highest at night. The drugs used were nicotinic acid,β-pyridylcarbinol, mesoinositol hexanicotinate and xantinol nicotinate. The highest plasma nicotinic acid level was observed withβ-pyridyl-carbinol, but significant reduction in free fatty acids during the entire night was only achieved with inositolhexanicotinate and xantinol nicotinate. There was no correlation between the plasma levels of free fatty acids and nicotinic acid at any sampling time. 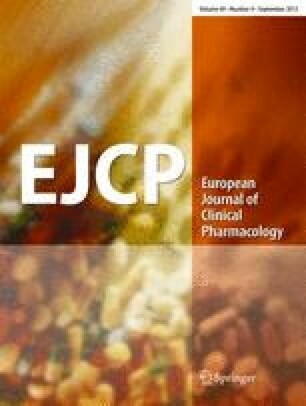 If prolonged reduction in free fatty acid concentration is desired in the therapy of hyperlipidemias, the inositol and xantinol esters of nicotinic acid appear to be superior to the other preparations. Supported by Deutsche Forschungsgemeinschaft within the SFB 90.